Not every vehicle deserves attention, but the 2017 Land Rover Range Rover uses its quality name and reputation to stand out among the Arnold crowds. With impressive design, amazing versatility, and plenty of technology and safety features, this model is sure to please. The interior of the Land Rover Range Rover is something that every Arnold driver will appreciate. After all, it boasts a broad center console that places all your essential controls within an easy reach. In addition, fine leather materials are found throughout the cabin that wrap you in complete luxury. Wood veneers and highly polished trims help round out the cabin’s design using the highest quality available. The 2017 Land Rover Range Rover is extremely versatile. Not only can you comfortably seat up to five passengers, but you can also move seats up and down to create more cargo space when necessary. If technology is something you want to explore while in Baltimore, the 2017 Land Rover Range Rover is the vehicle to give you what you want. The InControl® Touch Pro™ system makes it easy for you to access the information and entertainment you crave. The Meridian™ sound system creates a lovely acoustic of sound throughout the cabin, while the connected navigation system helps you safely arrive at your destination. You can always count on the Land Rover Range Rover to keep you safe while on the Washington DC streets. After all, this model comes with plenty of driver assist features to make managing the road easier. Blind Spot Monitor will help ensure that drivers always make smart decisions when changing lanes or turning, while the Lane Keep Assist feature uses audible and visual warnings to let you know if your vehicle starts to drift from its intended lane. So, when it comes to keeping you and your passengers safe, you know the 2017 Land Rover Range Rover can get the job done. The 2017 Land Rover Range Rover is a great vehicle choice for drivers throughout Washington DC and the surrounding areas. 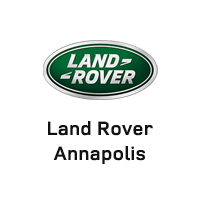 Visit Land Rover Annapolis today at 101 Ferguson Road in Annapolis to learn more about this impressive new model, or contact us online or by calling (410) 904-3108 to schedule a test drive or apply for financing.